Increase sales of software on the Phoenix Student Store. In doing so, drive brand awareness among key student audience and engage with them in a meaningful way. Prohibition PR created a new digital strategy and ran a targetted focus group with the core audience. 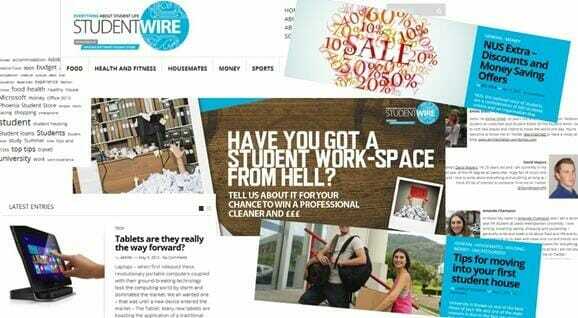 The team launched a new online community, Student Wire, aimed at providing advice and help on all aspects of student living, from house hunting to cooking. Following a focus group, all content was written by students, for students, including a student editor. As well as extensive content, relevant social media channels were set up, including Pinterest, Google+ and Facebook. In the initial three-month launch period, sales of student software doubled month-on-month. The new community went from a standing start to more than 3,000 unique monthly views within three months, with no paid-for media. The social media channels grew by more than 300%. The new student community also drove significant SEO benefits, with it ranking second on Google for ‘online student magazine’. Student Wire quickly became one of the fastest referrers of web traffic to the student store delivering real business results.